Multichannel marketing (MCM) is a term used with increasing frequency around the board table but is it really understood? According to a study carried out by Boston Consulting who questioned some of the world’s leading pharmaceutical organisations, results suggest that multichannel marketing (MCM) is not working for pharma as well as it could be. 55% of companies who participated reported that they were dissatisfied with their MCM. With rich audience data at their fingertips, the pharma industry should be leading the way with MCM but many can’t access or harness this invaluable insight for success across multiple marketing platforms. Multichannel marketing works well when a brand is everywhere its audience hangs out. To do that, it needs to know how the audience communicates, digests information and makes decisions. In an ideal world, you’d find all those answers in the information gathered through campaign feedback and medical reps but in reality, as a result of poor knowledge transfer, relocating managers and failed CRM systems, that great insight is often lost. External market research can plug the gap with good generic data but to really make multichannel marketing work, pharma marketing directors need to work harder at collating, retaining, protecting and utilising data internally. 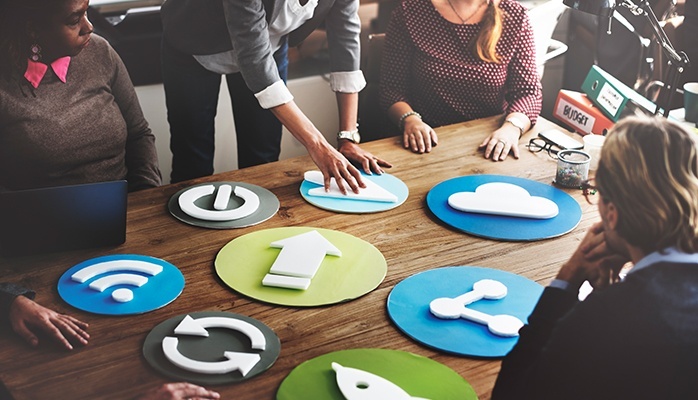 With so much movement in the industry, marketing managers need to put processes in place to safeguard data from leaving the organization with its employees, to prevent serious competitive risk. As physicians increasingly restrict rep visits and turn to other channels for product information, healthcare brands need to look beyond traditional channels to ensure their messages are where the physicians are looking. Multichannel marketing isn’t just a new buzzword; it’s an essential and critical change to the way pharma brands can start breaking through the noise their customers. 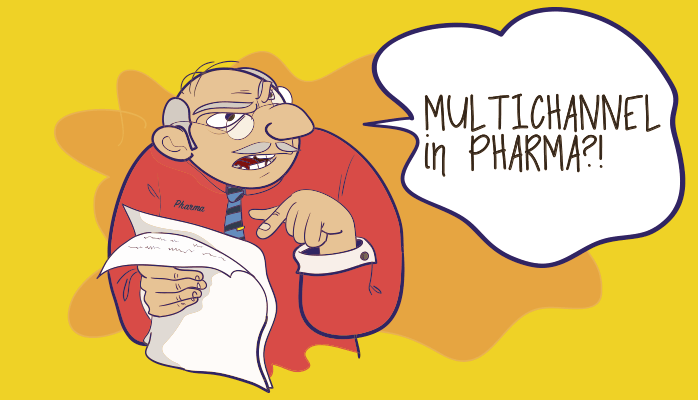 Many feel that the mass data available to pharma is actually part of the problem. Having so much insight requires a methodical approach, one that many branding managers struggle to organize into an effective, integrated strategy. With so much of that data sitting in the heads of reps and department heads, the job isn’t made any easier. Getting MCM right takes time. Each channel requires a different treatment dependent on the product, the physician relationship and lifecycle. It’s an ongoing activity that requires regular analysis in order to continuously tweak, improve and hone campaign success. MCM is about response. Whereas historically, the customer responded to how and where the brand advertised, times have changed. It is now the customer who decides where to search for information and the brand now has to respond by shaping its marketing to suit. At the most basic level, success in Multichannel marketing working for pharma will come down to a good understanding of the customer journey. By identifying the key channels used by physicians, the brands can begin to plot the experience and design communications, touchpoints, mini campaigns and response mechanisms around that journey. It’s a great way to regain control of the sales process and encourage customers down a decision path set by the brand. Yes, big data can seem overwhelming and unwieldy but with the plethora of technological solutions now available, it is possible to manage it effectively. With today’s digital tools, CRM systems, marketing automation platforms and analytics software, managers have the power to navigate their way through complex data to form cohesive, integrated multichannel marketing strategies, that are working for pharma. It’s time for marketing directors in pharma to take the bull by the horns and drive change to move towards a new way of doing business. Rewrite the sales model, move away from the old product focus and utilise the tools available to develop a true customer-centric experience. Do that, and multichannel marketing will start to benefit your pharma goals. To find out more about how multichannel marketing can work for pharma and the digital tools available, download our eBook on “Making sense of Multichannel Marketing in Pharma”.